This newly formed group had a great week by honoring the founders of the group with fresh busting pieces for making fire. The boys also enjoyed a lovely sunset after a fun night of games. The girl’s group learned a choreographed dance and they had a great time performing it throughout the day! Everyone enjoyed the group meal, which was breakfast burritos and tasty tacos. A Keet also earned her trail name this week, Wild Wolf, for her wild spirit and loyalty to her group. 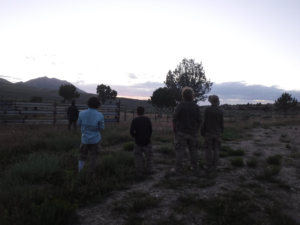 The Brumbies enjoyed sleeping under the stars, playing baseball, seeing wild horses. They also gave their therapist, Trevor, the Brumbies Token. 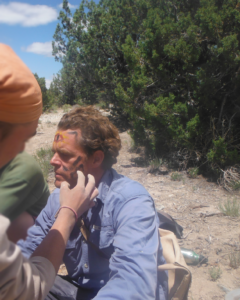 One student received his trail name and played games several nights during the week. their members with the Peace Walker token to not only honor him for providing peace in the group but to challenge him and continue to do so.